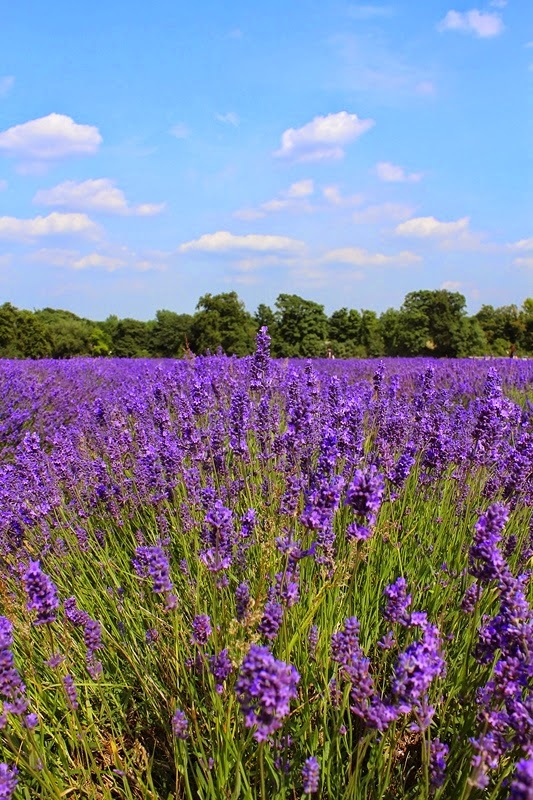 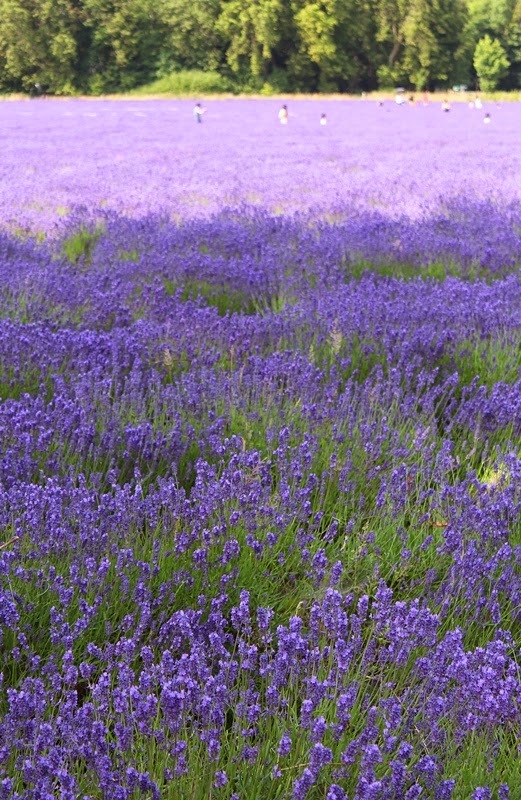 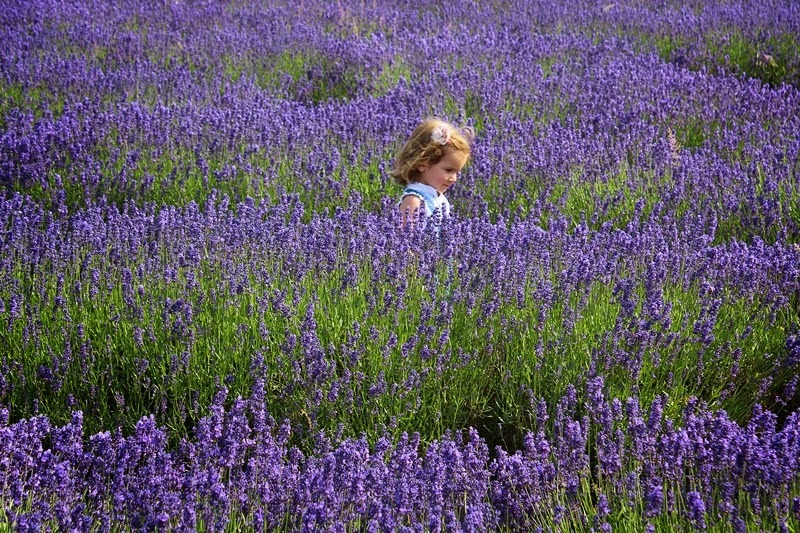 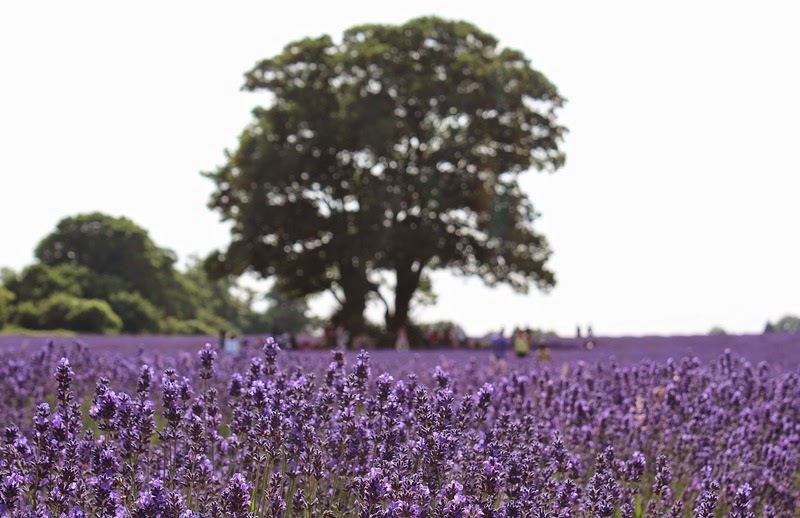 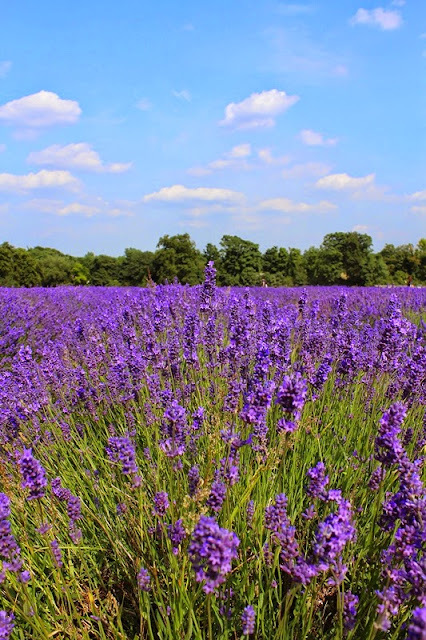 I first heard about Mayfield Lavender Field from a friend who'd been there. 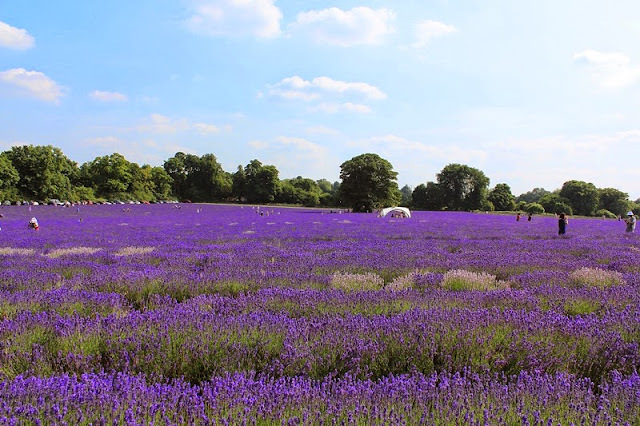 The weather was so warm on Saturday that Mr DI & I decided although we wanted to go out and make the most of it, we didn't want to venture too far, and certainly not back into the heat of the city where we both spend our 9 to 5 all week. 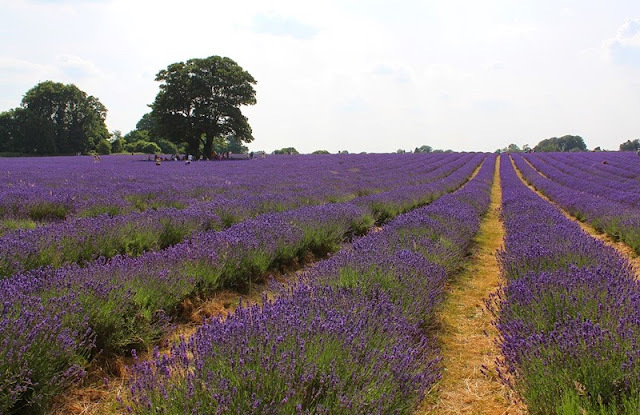 Mayfield is just 30 minutes' drive from us, so it seemed the perfect choice for an afternoon out. And boy, was it something! 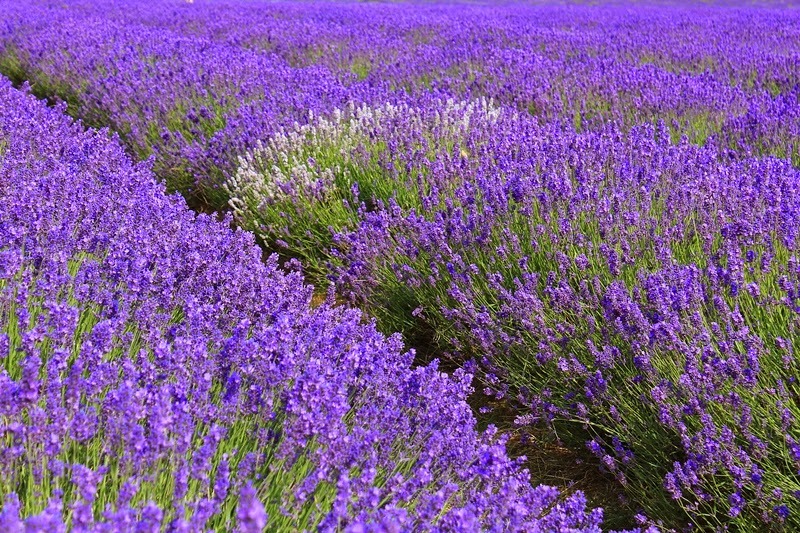 I had been expecting a field at the end of a track, but in fact we came around a bend in the road and suddenly there it was ~ a huge, huge purple-blue field, full of people and sunshine. Breathtaking! The field was first planted in 2002. 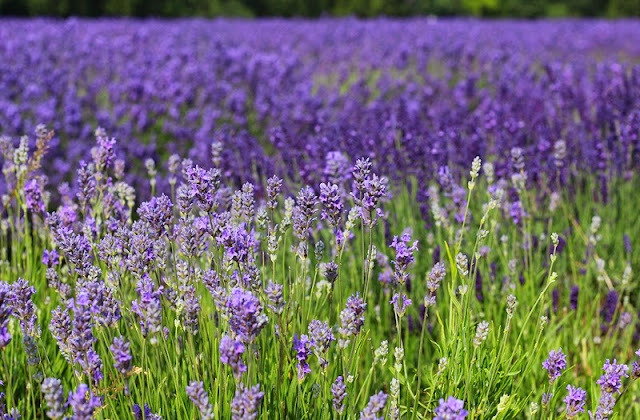 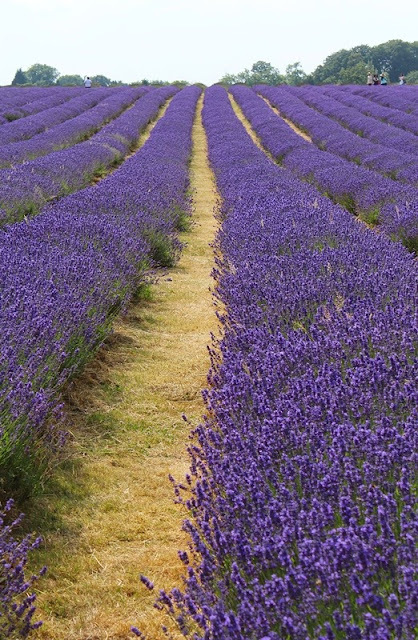 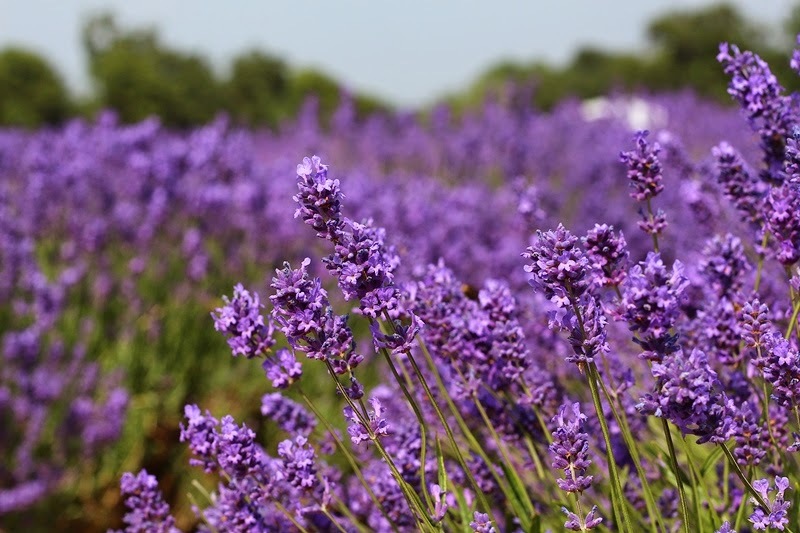 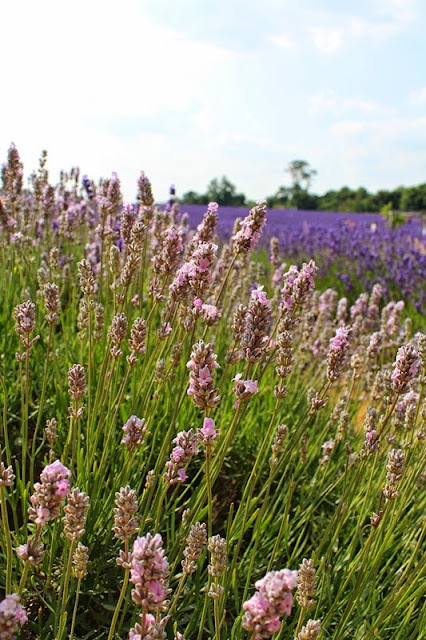 The lavender is organically grown and the farm received Soil Association status in 2009. 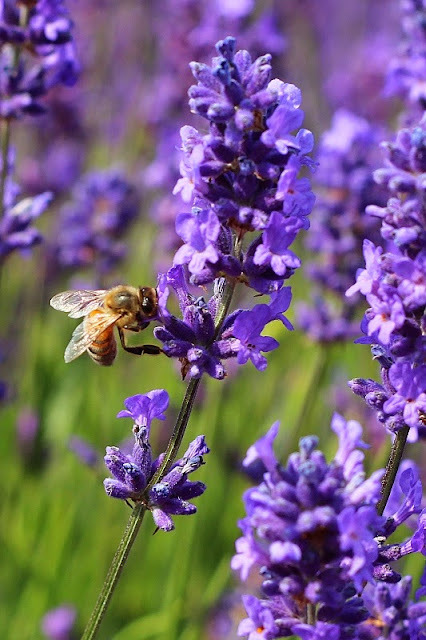 The bees are pretty happy here too! Have you ever stumbled across a hidden gem of a field near where you live? 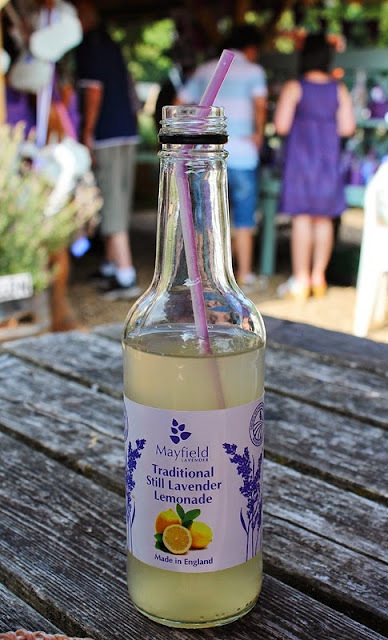 For directions and more information on Mayfield, click here. Oh my goodness, I would be all over this if I lived in the UK! 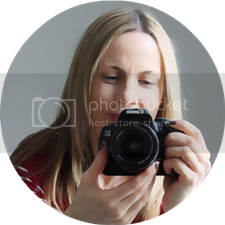 Thanks for the pretty photos. 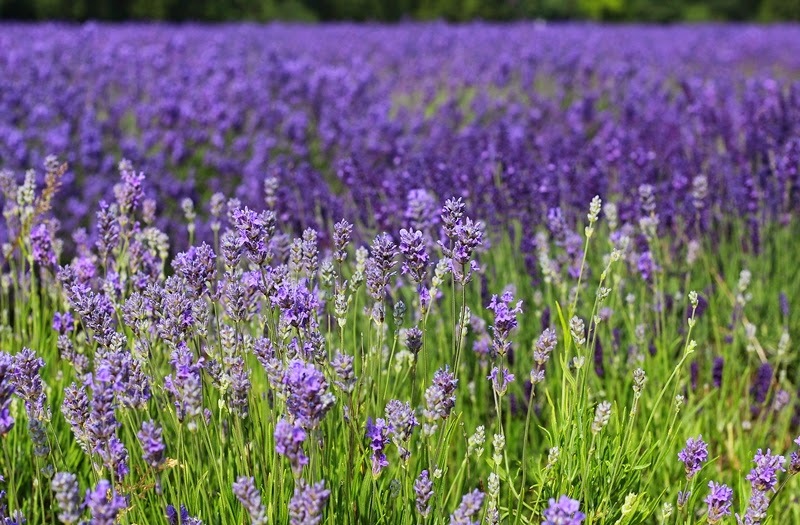 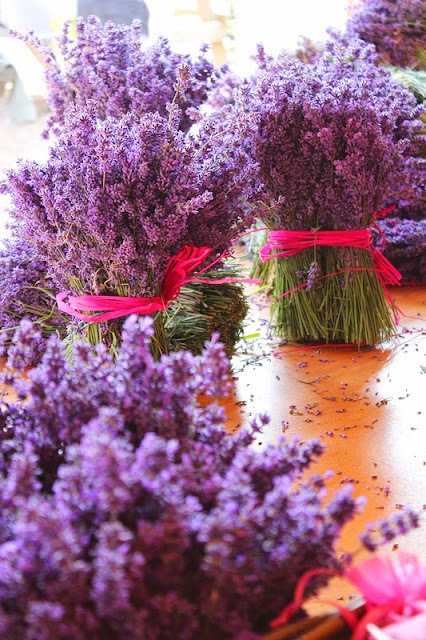 I love the smell of lavender, and the taste of it too!